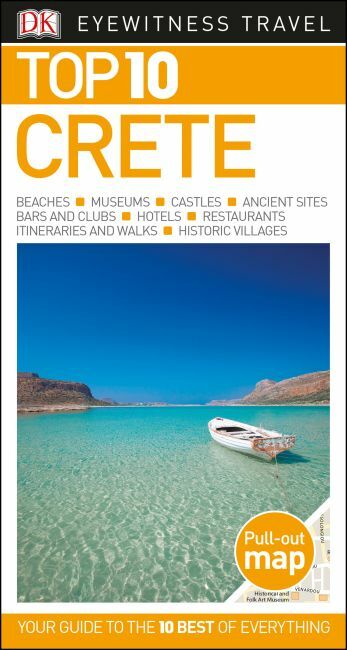 DK Eyewitness Travel Guide: Top 10 Crete is your pocket guide to the very best of Crete. Packed with culture and activities for travelers to enjoy, our Top 10 Travel Guideis everything you'll need to plan a fantastic trip to Crete. Find beautiful spots that will take your breath away in picturesque Crete; discover the top restaurants, bars, and cafes where you can experience local cuisine; check out the best venues for music and theater. We have the best hotels for every budget, plus fun activities for families with children or for the solitary traveler exploring the island of Crete. -Things to do and places to eat, drink, and shop by area. -Free, color pull-out map (print edition), plus maps and photographs throughout. -Walking tours and day-trip itineraries. -Local drink and dining specialties to try. -Creative and quirky best-of lists and more.